MB is a multi-faceted tree, landscape, and snow removal company serving the northern Black Hills and surrounding area. It is the goal of owners Matt King and Seth Hinz to provide you with professional, affordable, and reliable tree work and landscaping during the summer months, while taking care of all your snow removal needs during the winter. Matt and Seth both grew up working on rural farms in SD and MN and worked together driving snow plows for the SD Department of Transportation in Brookings, SD. Matt and Seth are both combat Veterans, having served as part of Operation Iraqi Freedom in the Army National Guard. Matt obtained a Bachelor's degree in Agriculture and Biological Sciences from South Dakota State University. While in school, Matt spent his summers working for the South Dakota Game, Fish, and Parks at Rocky Point Recreation Area, near Belle Fourche, SD. He was then hired by the Bureau of Land Management as a Park Ranger at Fort Meade Recreation Area in Sturgis, SD. Matt continues to serve as a non-commissioned officer in the SD National Guard. Seth received a Bachelor's Degree in Landscape Design with a Minor in Horticulture from South Dakota State University. 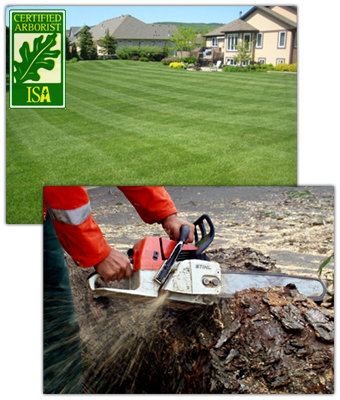 He received his arborist certification from the International Society of Arboriculture in 2010. Seth has worked as a landscaper/designer/foreman for several landscape companies in SD and MN. He also worked as a climber/foreman for the Davey Tree Expert Company in Nevada.